Our new larger store has great parking and easy access, is just south of Whyte Ave next to Planet Organic Market at 7913 104 Street. 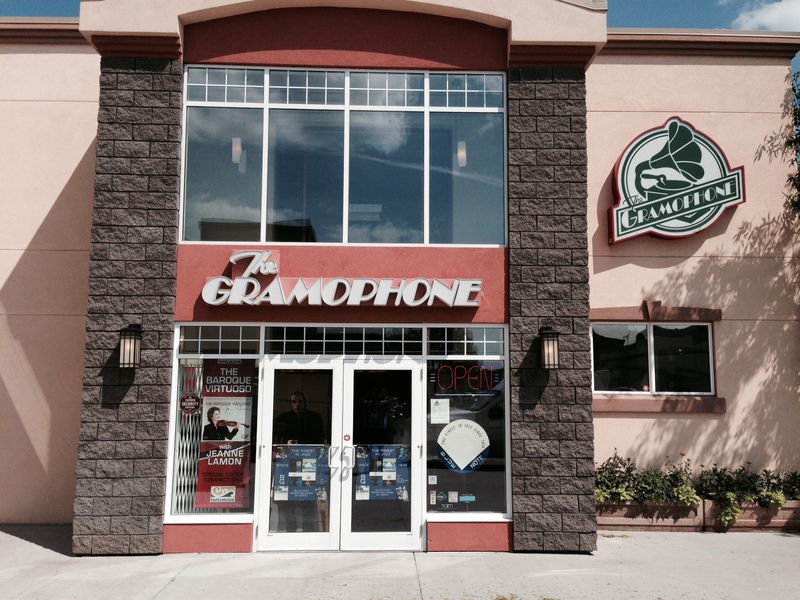 For over 24 years, The Gramophone has established a reputation for offering products of the highest quality, supplying excellent service, installation and fair pricing. We are retailers of the finest audio and video equipment, installers of Smart home control systems, the largest classical and jazz CD store in Alberta and artist-quality musical instruments. We are dealers for these brands; McIntosh Audio, Naim Audio, Dynaudio, NAD, PSB Speakers, Crestron, Audio Physic, Rega and Avid Turntables, Ortofon, Benz Micro, Audiolab, Audio Note UK, Panasonic, JVC Projectors, large Headphone selection and Computer Audio Playback. We import and distribute the spectacular British Loudspeakers, ATC and the Swedish Marten Loudspeakers across Canada. At our Studio location, we stock and sell professional music instruments such as; Salvi Harps, Rath Trombones, Engelbert Schmid Horns, Mollenhauer Recorders, Powell Flutes, Schilke Trumpets, Hoyer Horns, B&S Brass, Scherzer Brass, Besson, Courtois, John Packer, Antigua Saxophones, BAM Cases, Dennis Wick, Peter Ponzol Mouthpieces and others. Our website will undergo a complete make-over in the coming months - we hope you will visit again. Please call us if you have any questions about our products or services.